Want an easy and engaging way to keep track of tax reform? Get The Finance 202 in your inbox. House Republican tax writers look like an unstoppable force as they race to wrap work on their version of a tax overhaul. But they’re hurtling toward an immovable object: math. The problem lies squarely in front of the House Ways and Means Committee, now halfway through its markup of the GOP's bill. Facing pushback from an array of multinational corporations, committee Republicans on Monday scaled back a provision in the bill meant to bar companies with globe-spanning operations from shipping U.S. profits abroad. That excise tax, which caught industry flat-footed when it appeared in the GOP plan unveiled last week, would have raised $154.5 billion over a decade — a substantial sum for lawmakers in need of new funding sources. But the Monday tweak drained more than 95 percent of that revenue, and the broader bill is now in the red by $74 billion. Senate leaders were exploring postponing the centerpiece of the effort — an $845 billion corporate tax cut — until 2019, according to four people familiar with a draft of the legislation. The move would make it easier to comply with Senate rules that aim to limit any legislation’s impact on the debt. At the same time, Republican senators were planning to eliminate the state and local tax deduction, going further than the House, which retained part of the popular tax break, said the people familiar with the matter, speaking on the condition of anonymity because they were not authorized to discuss sensitive deliberations. Senators also were debating how to ensure that fewer of the plans’ benefits flow to the wealthy and more flow to the middle class. But phasing in a corporate rate cut threatens to dampen enthusiasm among business interests that in some cases are already privately ambivalent about the GOP overhaul. And including a full repeal of the state and local tax deduction would all but ensure a revolt by blue-state House Republicans, whom leaders have spent weeks trying to placate with a delicate and evolving compromise on the matter. Twelve of them voted against their party’s budget last month in protest of the move to trash their treasured break and indicated a sufficient margin to sink the bill would join them if the final version includes it. Threading competing demands for a finite pile of money has always presented the central challenge for Republicans eager to rewire the tax code. But their self-imposed deadline for completing the work — the party still aims to finish by the end of the year — leaves them perilously little room for error. The Democratic sweep in the off-year elections Tuesday arguably dials up the urgency for the GOP to deliver a major legislative win after nearly a year of coming up short. Yet the knotty work of solving the math problem at the heart of the exercise remains. The latest on the mass shooting in Texas: The gunman who opened fire at a church in Sutherland Springs, Tex. had in 2012 escaped from a mental health facility after he was caught sneaking guns onto an Air Force base and “attempting to carry out death threats” against his superiors. Our colleagues Eli Rosenberg, Mark Berman and Wesley Lowery report that “Devin P. Kelley’s young life was riddled with warning signs, mounting during and after his time in the Air Force, including a conviction for beating his then-wife and stepson, charges of animal cruelty, mental health concerns, investigations for domestic assault, threats against his family members and a motorcycle crash that left him with lingering physical pain.” Five years before the mass shooting at the church, officers were dispatched to a bus terminal after Kelley had escaped from the behavioral facility and were told he was “a danger to himself and others” and was “also facing military criminal charges.” It is not clear why Kelley was at the mental health facility. That same year, he was court-martialed and convicted of abusing his wife and stepson. And as authorities try to reconstruct what happens inside the church, more details emerged about the methodical massacre: "One woman who was wounded during the carnage said Kelley fired at churchgoers who tried to leave and pumped bullets into those cowering or wounded on the church’s floor. David Brown, whose mother, Farida, was shot in her legs, said she described Kelley firing four shots into the torso of a woman on her left." — No Powell hearing before Thanksgiving. Bloomberg's Krista Gmelich: "Having Jerome Powell testify in front of the Senate Banking Committee before the Nov. 23 holiday 'might be a little quick,' said Mike Crapo, the panel’s chairman. Powell needs time to complete paperwork and meet with other legislators on the committee, the Senator said. Powell might not have to wait too long. Crapo said he hopes 'to move quickly, meaning in a matter of weeks.' A few Republicans on the banking committee have expressed concerns about Powell’s previous Fed nominations. Crapo himself voted against Powell when he was reappointed to the central bank’s board in 2014." — N.Y. Fed's balancing act. WSJ's Nick Timiraos: "Help Wanted: A senior executive with a keen knowledge of markets and economics, but who isn’t too close to Wall Street because he or she will be responsible for regulating some of the world’s biggest banks." This is the balancing act facing a newly formed search committee for the next president of the Federal Reserve Bank of New York following the announcement Monday that the current leader, William Dudley, will step down in mid-2018, several months before his term expires in January 2019. The New York Fed president is a voting member of the Federal Reserve committee that sets interest rates and other monetary policies aimed at keeping the economy on track. The chief also runs the Fed bank that works with the markets to implement these policies and that supervises some of the nation’s biggest financial institutions. The new president would take over an institution more intensely scrutinized since the financial crisis, and criticized by some lawmakers and others as a lax supervisor before the turmoil and too slow to get tough afterward." — The Trump Bump turns 1. How does the market rally that accompanied Trump's win stack up to that of other president's, now that it's aged a year? CNBC's John W. Schoen: "At the first anniversary of Trump's Nov. 8 election, the subsequent stock market's gain ranks No. 3 in first-term, post-election markets since Dwight Eisenhower won the 1952 election. Over these decades, though, stock market rallies in the early days of a new administration aren't necessarily a great predictor of investor returns over the full term of the incoming president. The stock market's jubilant response to Trump's election, for example, was initially compared to the reaction to Ronald Reagan's 1980 defeat of Jimmy Carter. Both Trump and Reagan campaigned on a platform that promised tax cuts and sweeping deregulation, a prospect that investors assume will help companies boost profits. But Reagan's post-election rally fizzled within weeks, thanks to an aggressive series of interest rates hikes in late 1980 aimed at snuffing out double-digit inflation ... The biggest one-year market rally for a change in administration followed the 1960 election of President John F. Kennedy, which accompanied a strong rebound in economic growth. But the market tanked in the months preceding the 1962 Cuban Missile Crisis." ....is making. Working very hard on TAX CUTS for the middle class, companies and jobs! 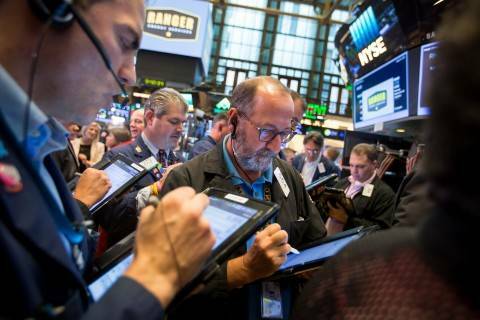 The Dow Jones Industrial Average eked out a fourth consecutive record high close on Tuesday, while the S&P 500 ended marginally lower after a disappointing profit forecast from Priceline and a drop in financials. — Trump’s accountant weighs in. Or so the president said, connecting via phone from his Asia trip with Senate Democrats gathered at the White House to talk taxes. “My accountant called me and said, 'You're going to get killed in this bill,” Trump said, per NBC’s Leigh Ann Caldwell. More background on the exchange, from Mike and Ed: “Trump pitched the plan as a benefit to the middle class that comes at the expense of the rich — an assessment at odds with independent tax experts who have analyzed the bill and concluded the bulk of its benefits go to corporations and the wealthy. Trump told the senators that he has spoken to his own accountant about the tax plan and that he would be a 'big loser' if the deal is approved as written, according to multiple people in the room who heard the president on the phone. 'The deal is so bad for rich people, I had to throw in the estate tax just to give them something,' Trump said, according to the people, who spoke on the condition of anonymity to share details of the meeting." — Big business wins, small business loses. The Washington Post’s Steven Mufson: “House GOP leaders have hailed their new tax proposals as helping the small-business owner, but small-business associations say they help big enterprises, not small ones, and vowed Tuesday to sink the bill in its current form. The National Football League, Fiat Chrysler, the Koch brothers’ Georgia-Pacific subsidiary, The Washington Post’s owner and more than 500 Trump entities would qualify for a substantial tax break under the proposal. But the neighborhood dry cleaner or dentist would be out of luck. — Club for Growth slams. The conservative group criticizes the House Republican plan for what it calls waging class warfare -- on the rich. Washington Examiner's Joseph Lawler: "An important fiscal conservative group on Tuesday criticized the House Republican tax bill and said one of its provisions in particular is an example of 'class warfare.' 'While the corporate tax cut will lead to some increase in our nation’s GDP, the rest of the provisions on individual taxpayers fails the pro-growth test,' Club for Growth President David McIntosh said of the bill in a statement. In particular, McIntosh criticized the bill for retaining the top 39.6 percent individual tax rate for individuals making $1 million, calling it "class warfare the likes of which would make Democrats green with envy." — Mixed results for middle class. WSJ’s Rubin: "More than 60% of taxpayers, including much of the middle class, would see lower taxes in 2019 under the House Republican tax plan while 8% would pay more, according to a new analysis released Tuesday. But by 2027, many of those effects would peter out and nearly one in five households would pay more in taxes than if Congress had done nothing. By that point, fewer than half of households would have tax cuts exceeding $100, the study found. The analysis was done by the nonpartisan Joint Committee on Taxation, the official estimator of tax legislation in Congress.In 2019, among households making between $50,000 and $75,000, 65% would get tax cuts exceeding $500. In that same group, 6% would see taxes rise by at least $500 … Democrats are using the same numbers to point out that some lower-income people would see their taxes rise and the money would in effect fund tax cuts for high-income households." — Buyouts targeted. Bloomberg's Devin Banerjee: "House Republicans’ chief tax writer has investment managers in his crosshairs... Brady... moved this week to include a provision in his party’s tax bill that would raise the bar on which profits are taxed preferentially. If Brady gets his way, deal profits shared with investment managers would be treated as long-term capital gains -- and hence taxed at a lower rate than ordinary income or short-term gains -- only if they’re earned on investments held for at least three years, rather than one year now. Exceeding a one-year hold period is the norm in private equity: More than 96 percent of U.S. deals since 2000 have done it, according to PitchBook Data Inc., a Seattle-based researcher. Profits on deals that last one to three years, however, would lose their preferential tax status if the bill’s current version becomes law. Since 2000, that would have affected 24.3 percent of private equity deals in the U.S., PitchBook said." — Cruz pushes mandate repeal. Bloomberg's Laura Litvan: Sen. Ted Cruz (R-Tex.) "is pushing to keep alive the idea of including a repeal of Obamacare’s individual mandate in the tax overhaul plan, even as House Republicans struggle with how to address an issue that threatens to complicate the tax debate. At a news conference Tuesday, Cruz said it’s vital to use the tax legislation to end the mandate that all Americans have health insurance or pay a penalty. If nothing else, he said, doing so will in effect be a tax cut for the 6.5 million Americans who now pay a penalty because they don’t have health insurance coverage. 'I think it’s critical to make this end,' he said of the mandate." Ways and Means Chair Kevin Brady (R-Tex.) 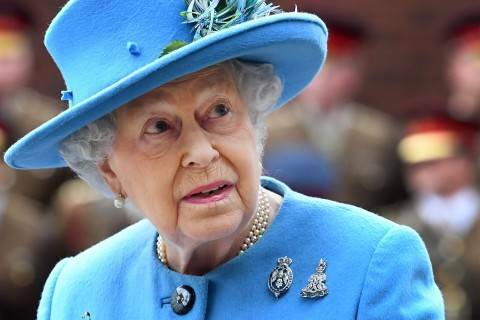 said he's still considering the move, telling Hugh Hewitt, "I’ve asked for an updated score so I know exactly what that provision would raise,” he said. “We’re listening to our members here in the House about how they’d react to that. And so I’ve been asked to consider it." — Republican says the quiet part out loud. Bloomberg: "A House Republican is stating the political necessity for Republicans to deliver tax overhaul legislation this year. New York Rep. Chris Collins said Tuesday, 'My donors are basically saying 'get it done or don't ever call me again.'" — Goldman alum elected N.J. governor, again. Democrat Phil Murphy, a former Goldman Sachs executive and Obama administration ambassador to Germany, trounced Republican Lt. Gov. Kim Guadagno by 13 points in the New Jersey governor's race. Murphy succeeds Chris Christie, who leaves office with bottom-dwelling approval ratings, and will become the first Democrat in the office since Jon Corzine, a former Goldman CEO. After joining the Wall Street titan in the early 1980's, Murphy spent more than 20 years there. During his career, he led the firm's Frankfurt, Germany, office and served as president of its Asia division. At Goldman, Murphy was reportedly renowned for his deal-making ability, which helped him advance through the company. His work in Asia, though, has sparked controversy. An investigation by the Star-Ledger newspaper in New Jersey showed that his division profited from an investment in a shoe manufacturer that had dismal working conditions. Murphy's campaign denied he had a role in Goldman making the initial investment." — Retirement watch. Two House Republicans on Tuesday added their names to the lame-duck caucus of those retiring next year: Reps. Frank LoBiondo (N.J.), in his 12th term, and Ted Poe (Tex. ), a seven-term incumbent. Expect potentially many more to join them in the days ahead as those Republicans facing what look like increasingly tough reelection slogs digest the results from Virginia and beyond and decide it just isn't worth it. This is a tidal wave. Two House Republicans announced their retirements today BEFORE tonight's results became clear. Going to be many more to come. The worst House Dem retirements in '09-'10 (Tanner, Gordon, other Blue Dogs) came soon after McDonnell won #VAGOV 2009 in a blowout. Dems have won all three of the marquee off-year races -- NJGov, VAGov, NYC Mayor -- for the first time since 1989. 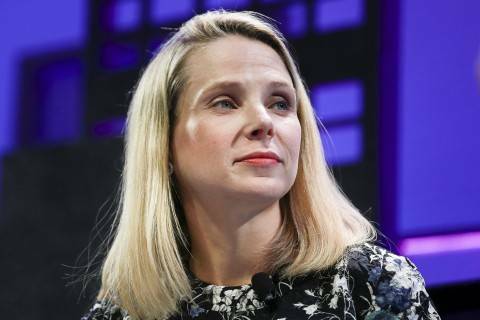 A Senate committee moved last month to force former Yahoo Chief Executive Marissa Mayer to testify in a hearing Wednesday about corporate data breaches, after she initially declined lawmakers’ invitation. 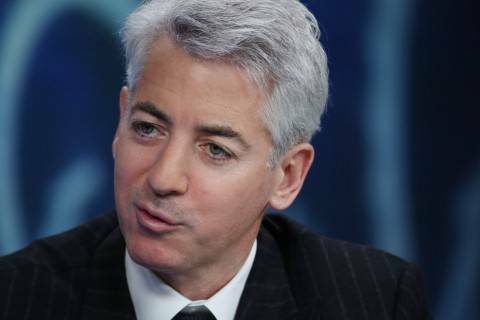 The billionaire hedge fund manager William A. Ackman suffered a stinging rebuke on Tuesday when his campaign to shake up the $50 billion payroll-processing firm failed. So began the mystery of Wilbur Ross' missing $2 billion. And after one month of digging, Forbes is confident it has found the answer: That money never existed. It seems clear that Ross lied to us, the latest in an apparent sequence of fibs, exaggerations, omissions, fabrications and whoppers that have been going on with Forbes since 2004. In addition to just padding his ego, Ross' machinations helped bolster his standing in a way that translated into business opportunities. And based on our interviews with ten former employees at Ross' private equity firm, WL Ross & Co., who all confirmed parts of the same story line, his penchant for misleading extended to colleagues and investors, resulting in millions of dollars in fines, tens of millions refunded to backers and numerous lawsuits. " — Sessions to face Papadapoulos questions. Politico's Kyle Cheney and Elana Schor: "Attorney General Jeff Sessions will appear before the House Judiciary Committee next week, and Democrats said Tuesday they’re prepared to pepper him with questions about a campaign adviser who attempted to broker a meeting between then-candidate Donald Trump and Russian President Vladimir Putin. Sessions — a top policy adviser to the Trump campaign last year — has flummoxed lawmakers with his accounts of his own contacts with Russian officials during the campaign. Now he faces new scrutiny about how much he knew about the adviser, George Papadopoulos, who has since pleaded guilty for lying to investigators about his own attempts to parlay contacts with the Russian government into an advantage for the Trump campaign." — Trump camp knew about Carter Page trip to Moscow. Axios's Alayna Treene: "Page also admitted to meeting with high-level Russian officials, and said he relayed that information to his campaign supervisors... It's long been known that Page, who has become a key figure in the Russia investigation, traveled to Moscow in 2016. But prior to his testimony he maintained that it was in a private capacity, and unrelated to his role with the Trump campaign. However, the transcript reveals that top members of the Trump camp knew more than they have let on." The Professional Risk Managers’ International Association holds an event on redefining financial services regulation. The Peterson Institute for International Economics holds an event on the policy implications of sustained low productivity growth on Thursday. From The Post's Tom Toles: "The Republicans went off to change the tax code and all you got was this lousy thank you:"